Finally, you have realised the potential that creating a Dental Instagram account has for your dental practice. That’s amazing because Instagram can give you exposure to 1 billion people, for FREE! If that’s not enough, take a look at these insights. Not only will you be able to build your brand and increase brand awareness, but you may get valuable insights about what your customers like. The idea here is that you type the name of your dental practice inside the “Full Name” box. 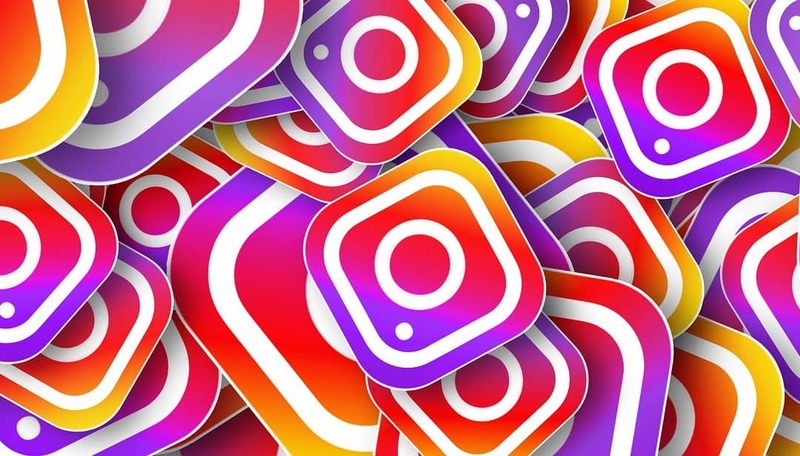 You want Instagram users to be able to recognise your dental Instagram account and associate it with your dental practice. Then you should follow the same approach when it comes to defining a username. Make it sound professional and unique. And try to give some information about your business if possible. For example, if your dental practice is in Bury, you could use @bury.dentalpractice. Needless to say, this is just an example to give you a rough idea. Another way to sign up is by clicking on “Log in with Facebook” to sign up with your Facebook account. If you opt to create your Dental Instagram account following this method, you will be redirected to Facebook. There you’ll need to log into your account if you are currently logged out. If you do not have the app, the first step is to download it from Google Play or the App Store. Depending if you are an Android or Apple user, respectively. Once you have successfully downloaded the app, you can tap on “sign up with email or phone number” if you have an Android device, or “Create New Account” in case you have an Apple phone. After this, you just need to enter your email address or your phone number. (please, note that if you follow this approach you will require a confirmation code). And press “next”. All of this is very intuitive so far. The same as we mentioned about Facebook in the lines above applies when you want to open a Dental Instagram account from your phone. Just tap “log in with Facebook” and log into your account if you are logged out. This guide will show you how to customise your profile through the iPhone App. Nevertheless, essentially it is the same for other devices. Firstly, tap on the outline of the head at the bottom of the screen. You have now arrived at your DentalInstagram profile. Next, you can tap on “edit profile”. Now you can upload a picture for your profile. Take as an example the Instagram account of The Creative Composite @the_creative_composite. You see our profile picture is the logo of our company. You can do the same, just don’t upload any embarrassing selfies! Then, edit your name. The most common approach is to type the name of your company. You could also mention what you do… Coming back to The Creative Composite example, we mentioned what we do which is to offer Dental Marketing tips. Adding a website to your dental Instagram account profile is very advisable too. It creates more trust in your brand, and potential clients can access the services catalogue for instance. Don’t worry if you don’t have a website yet. It takes up to 2 hours to make one and we can teach you how to build it in future blog posts. As you are creating a Dental Instagram account for your business aka dental practice you will want to switch to a business account. In the settings, you can change the account type. I advise you to include all the relevant information in your bio. Some examples: add a contact number so anyone can call you and an email address if they would rather approach you via email. The idea here is to make life easier for your customers and potential customers. Don’t make them search for your number in google or on your website, don’t make them waste time and they will appreciate it (you might want to include your location as well). Finally, try to sum up who you are, what you do and who you help in one or two short sentences. An alternative to this is to add a quote that represents your brand’s vision, a funny and catchy phrase could work too. Being professional is a must but being human is key. We are now done customising your profile, I bet it looks amazing. Now all your visitors will see something like this Preview of your profile. Until now we have set the foundation but if we aim to be successful we need to feed our followers with pleasing content. The content you upload will depend on your strategy, how do you want others to see your brand? How do you want to come across? It is worth bearing these questions in mind, as one of the keys to success is consistency in what you say, what you do and what you transmit. Please note that you won’t be able to upload anything from a computer, but only from a phone or tablet. Find this icon and press it. You can upload content from your camera roll, or you can take a picture in the exact moment and you can also record a video. The most common way to upload content for your dental Instagram account is from your camera roll. Click on the image/video you want to share with your fellow community and tap on “next”. If you fancy uploading several pictures within the same post you can tap the following symbol at the right bottom. Once you are happy with your choice tap on “next”. Here you will be able to bring out your inner artist; the filters and edit features are endless. Play with them if you feel like but don’t exceed a certain limit. Remember a little edit can be nice but too much might be annoying. When you are happy with the outcome tap next. It’s time to write a caption. Did you know that Instagram rewards profiles with long captions? Also, tag people/profiles if they appear on your pictures and add a location. When you tag someone they usually feel the need to share that content on their Instagram stories, which will give you better visibility. Something similar happens with the location as any Instagram user can see all the content that has been uploaded from a given part of the world. Again, visibility. Next thing you should consider is whether you also want to share that content on your Facebook, Twitter or even Tumblr profile. If you accept my humble advice fellow reader, do not do it. And the reason is that for each social platform you will need to use a different tone and upload a different type of content. For example, you wouldn’t upload a massive chunk of text to YouTube if you could do it through Facebook. Turn off commenting: this setting will impede anyone interacting with your content. If you have a reason to turn off commenting, I won’t be the one telling you not to but if you are not sure, let people comment your uploads and interact. Interacting with your customers makes you come across as approachable and nice. One of the main aims of any social network is to generate interactions, so let them share what they think, comment how cool your post is or ask you any enquiry they may have. Share your posts to Facebook: we came across this setting earlier but here we can find it again. If you don’t have much time to adapt the tone of your posts to every single platform, try this out. Write alt text: this setting allows you to describe your photos for people with visual impairments and it’s an automatic process. If you have it clear, just tap to enable the setting you want to enable. Whenever possible, finish your captions with something like “if you like what we’re sharing and you want to stay tuned, don’t forget to turn on Post Notifications and Story Notifications.” This will let your followers stay updated with the latest posts, avoiding the clutter that sometimes Instagram is characterised for. Congratulations, you have successfully set-up your own dental Instagram account. Do You Want To Know How Your Dental Instagram Account Is Performing? With Instagram for business, companies get insights about followers and posts and can promote posts to drive business objectives from inside the app. You can get information about which posts are performing best, when the best days of the week and times are to post and the demographic breakdown of your followers. You can also promote any posts you’ve shared and include a button such as “Learn More” to reach new customers in your target audience. Instagram is a powerful tool that allows you to grow your business at virtually zero cost if done right but also requires consistency and congruence with the image you seek to transmit. See it as a long-term project and do not give up if followers don’t rain. Rome wasn’t built in one day, instead focus on uploading quality, relevant and interesting content. Doing all of this on a daily basis and seeking to foster relationships with other users and generating conversation will help your business develop. If you want to improve your social media marketing skills, here you have The Ultimate Social Media Guide from the guys at The Creative Composite.